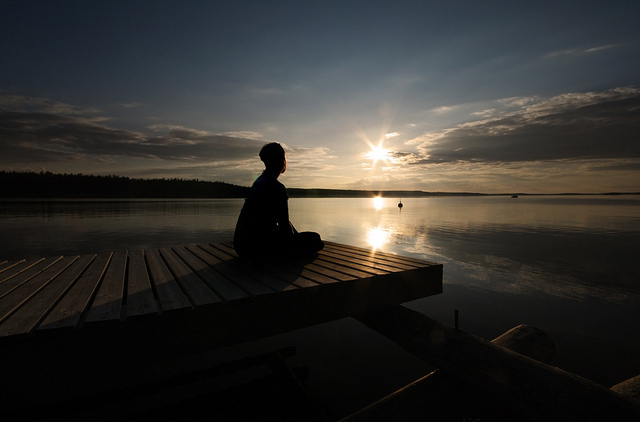 Why do you want to meditate? People meditate for different reasons. Some meditate to relieve anxiety and stress. 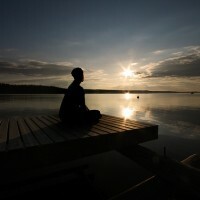 Others meditate to connect with the nourishing and restorative silence within. But it’s rare to find someone who meditates for others. But that’s why my friend Erin Aquin meditates. As a clinical acupuncturist and long-time yoga teacher, she embraces meditation because it makes her a better teacher and practitioner of Chinese medicine. As Erin describes it, practicing meditation helps her serve her students and clients more effectively. In this episode of The OneMind podcast, we explore the intersection of yoga, meditation, and traditional Chinese medicine with yoga teacher and clinical acupuncturist Erin Aquin. Although Erin taught yoga far longer than she practiced acupuncture, it was the philosophy and practice of Chinese medicine that compelled her down the path of meditation. For Erin, meditation is not so much about self-improvement or stress relief. Instead she sharpens her perception and serves her clients and students more effectively when she meditates every day. One thing that stood out in my interview with Erin is something you probably won’t hear from most disciplined meditators. She doesn’t really like to meditate. But the intrinsic benefits of this ancient practice override her resistance and keep her coming back for more. And more than that, she sees the practice of meditation as fundamental to her work as a teacher and practitioner of Chinese medicine. That inspired me, and I think it will inspire you too. Perfect listening. I am at a place where my body no longer can no longer practice the yoga that I so enjoyed when I was younger. I am resentful, angry , sad and grieving that practice . I listened to your podcast with Erin today and realize how many possibilities there are for me.. Thank you from my heart and soul. Thanks for your feedback and that’s so great to hear re your realization. I was in a similar boat…after practicing yoga for 15 years my body started to break down and I couldn’t do it anymore…much to my disappointment. Erin is a real inspiration and I’m happy that interview opened some doors for you. Keep us posted and thanks again! Good morning and thank you for sharing with me. I love the meditation with flute, I have listened several times now, enjoy the morning quotes as well. After my morning meditation I feel very comfortable and self assured. By the afternoon I notice that I am the impatient person again!!! I’m really happy you like the guided meditations on the site and especially the one with Rodrigo on flute. And that’s great to hear about the results of your meditation practice. Unfortunately I don’t know any yogis in your area, but you might try the website Yoga Trail which has a pretty big listing of teachers across the country. The ‘Universal Law‘ are natural principles that exist whether we care to accept or believe they exist or not. Abiding by and using the universal laws helps an individual lead a fulfilling life by overcoming obstacles and problems by aligning oneself with the universal laws. Watch Willbur Glenn Colaco introduce us to the Universal Laws.